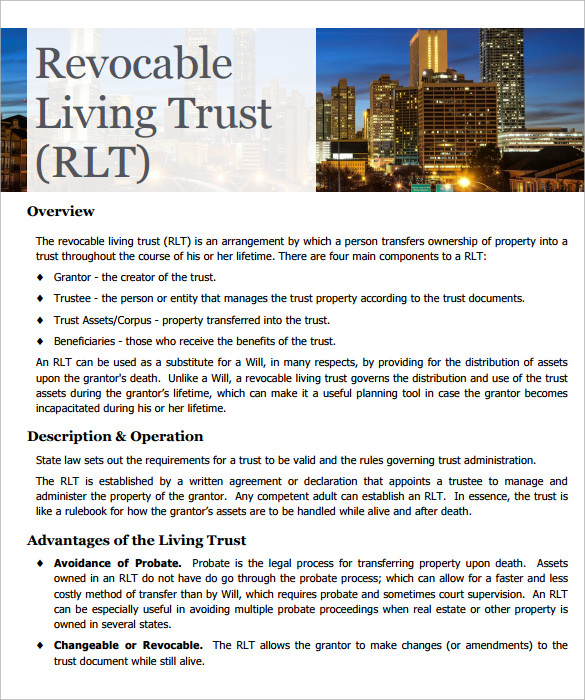 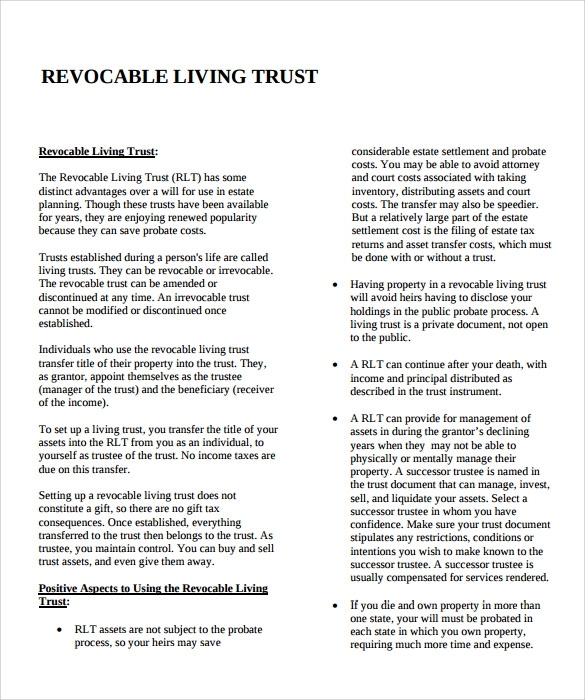 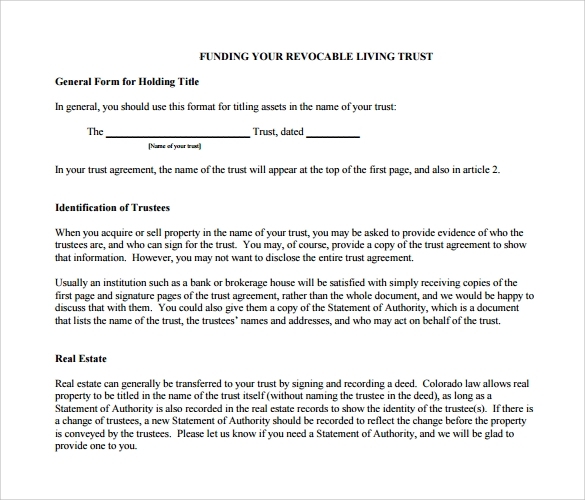 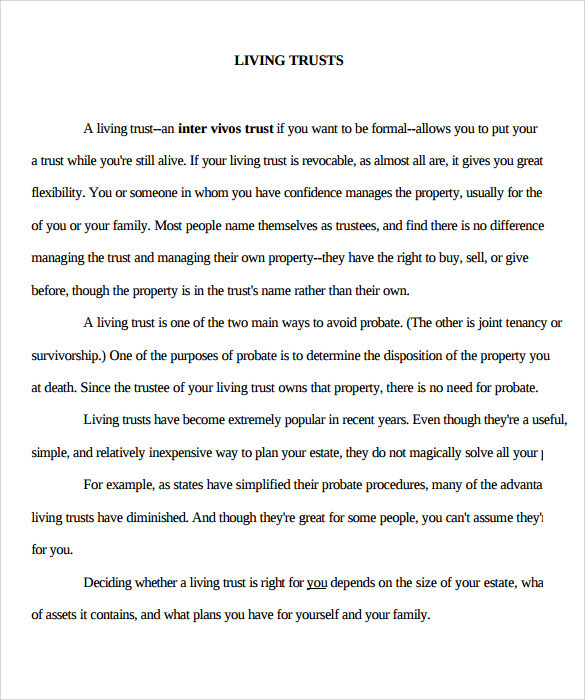 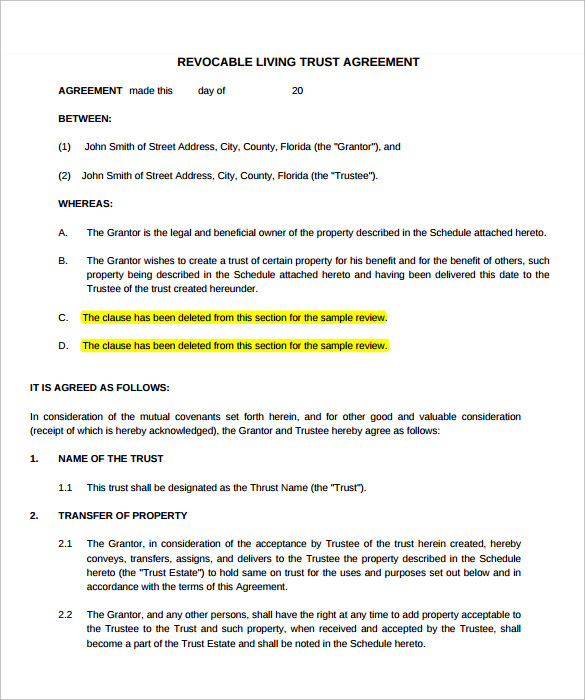 A living trust form helps you in setting up a flexible estate plat that is perfectly fitting to your needs. 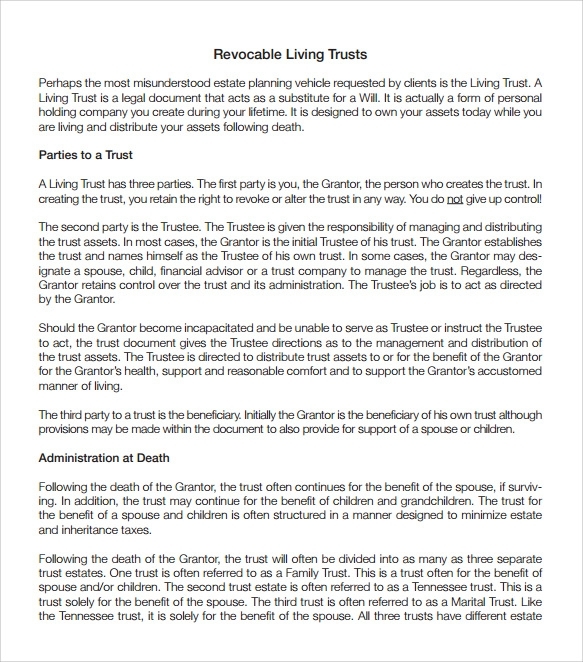 This is an element that can be created during the phase of your lifetime and it helps you in transferring all your estate to a separate legal entity that is totally independent. 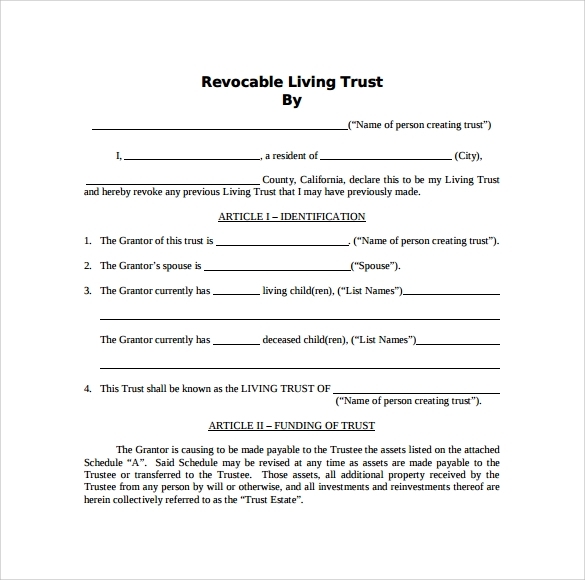 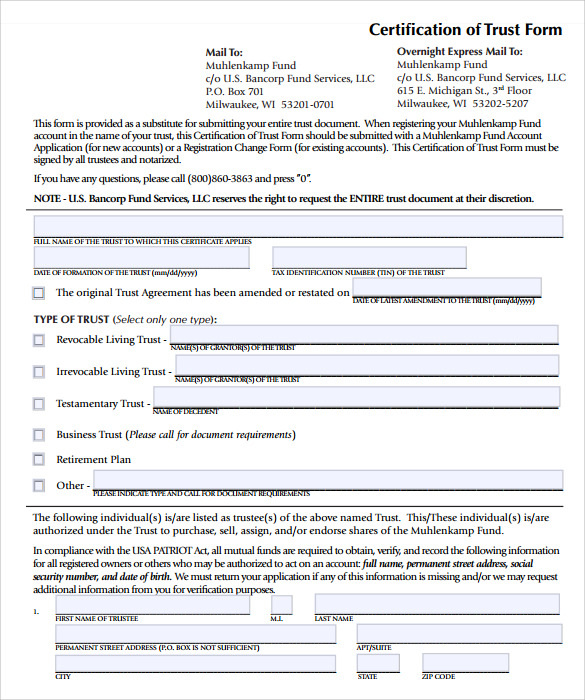 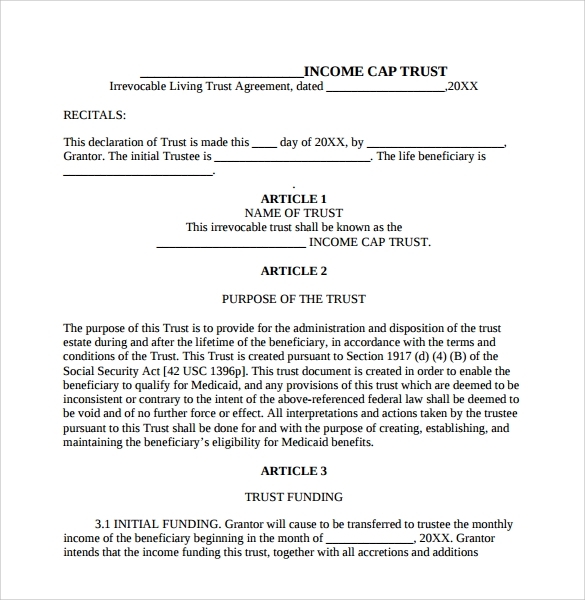 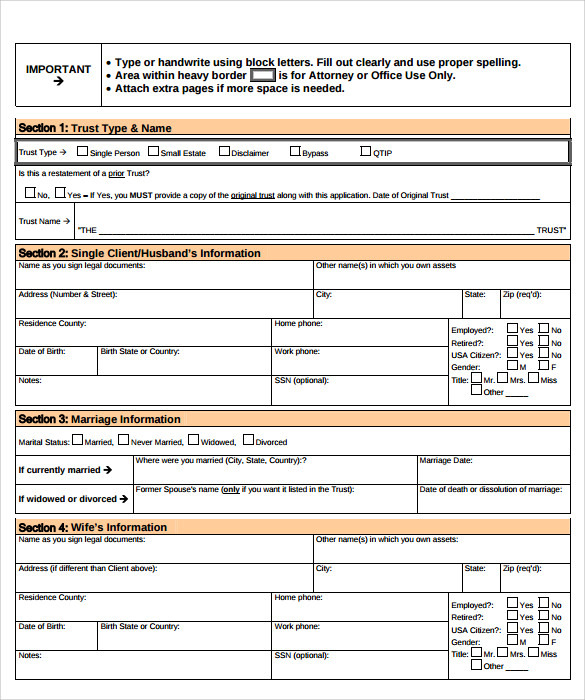 In order to fill a living trust form you have to go through a sample Living Will Trust Form so that it can be filled in the best possible manner. 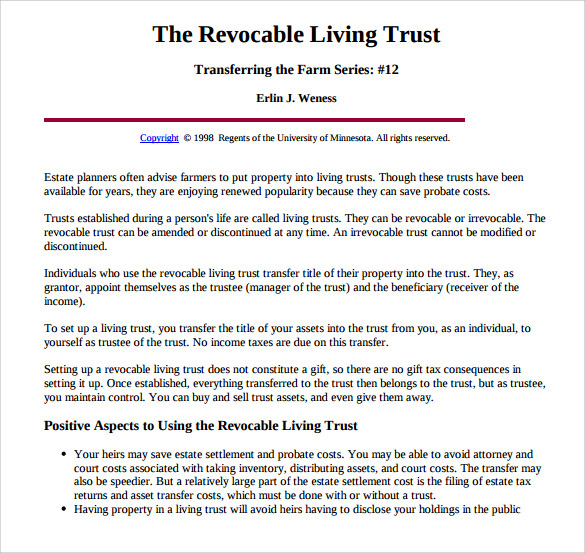 You just have to download it in any format and use them to transfer your estate.